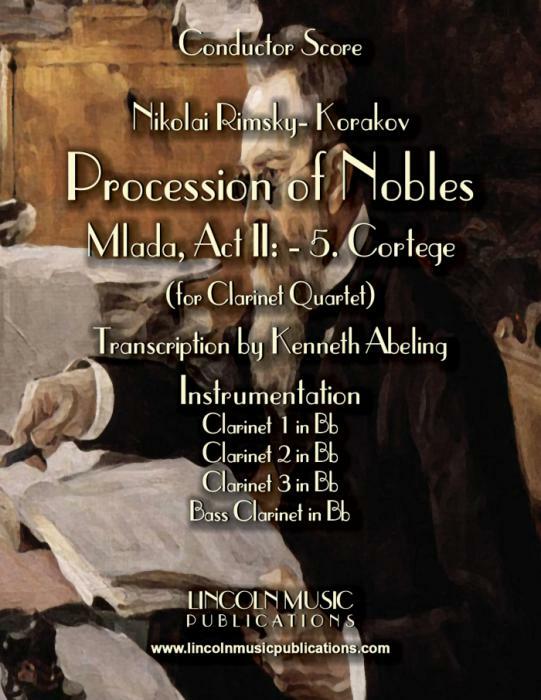 This is Rimsky-Korsakov’s Procession of Nobles or Mlada Suite – No. 5. Cortege, for Clarinet Quartet. This is and advanced transcription of Korsakov’s march and is practical for numerous performance applications.